Michelle Kadlacek is the Sr. Director of the Channel Partner Program for Spectrum Enterprise. Michelle leads the Enterprise Channel which includes Channel Sales, Partner Development, Sales Engineering, Partner Support and Account Management teams responsible for driving the growth of fiber-based solutions as well as the strategic development and recruitment of Master Agents throughout the country. Michelle has over 19 years' experience in the telecommunications and cable Channel industry holding various channel roles throughout her career. 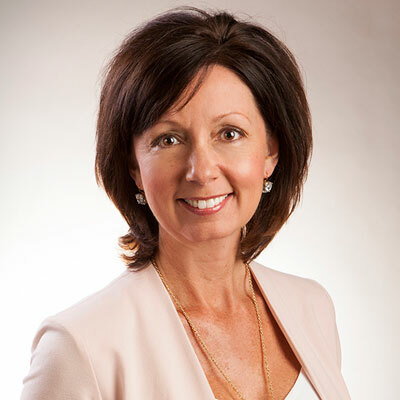 Michelle is an active board member for both the Women in the Channel and the Channel Partner Advisory Board. She is also an active member of CTAM and has won multiple CRN Women in the Channel honors. In her spare time, Michelle volunteers for the Leukemia & Lymphoma Society in which last year she ran for Woman of the Year and personally raised $100,000 in a 10-week campaign. In 2017, Spectrum verticalized all sales channels including the Agent/VAR segments with half of the team focusing on fiber and enterprise products. Michelle took on this role of leading the Enterprise team through change, adversity, integration efforts all while driving revenue. By the end of 2017, Michelle and her team were over the budget plan and increased Agent revenues by more than 28% over 2016. The goals for the Spectrum Enterprise Channel are to continue increasing revenue year over year by 20+% as well as finalizing integration efforts throughout the Channel to ensure our Partners have an ease of doing business with Spectrum Enterprise. The launch of Hosted services and SD-WAN later this year will provide our Partners with a full portfolio of reliable products supported by our Channel team. One of Michelle's most rewarding honors was being selected as the Leukemia & Lymphoma Society's Woman of the Year candidate for 2017. She raised $100,000 in charitable donations during a 10-week campaign and helped set a new record for the Charlotte area team raising over $1.4M. Michelle was also selected as the CRN Woman of the Channel honoree last year as well as recently being selected as one of the newest board members for Women in the Channel. Michelle also resides on the Channel Partner Advisory Board and participates in Spectrum's Women's Leadership Network. I have always and will continue to admire Pat Summitt as my female role model. Pat was the most winning coach in Division I college basketball and helped boost the woman's game to big levels with her 38-year career at Tennessee. Pat outworked her competition, had a winning attitude and loved her players. Not only did she accomplish on the court what others have yet to do, but she also had a 100% graduation rate among her players. She was admired by millions who watched her practice hard, play harder and live with courage on and off the court. The advice Michelle would have given herself would have been to invest in yourself first as it will have the most return on the investment! Whatever that investment may be - just do it for yourself first. At 16 years old, this may be difficult as teenage girls are often preoccupied with other things but that is the perfect time to start investing in your well-being, education, finances, health and future. If Michelle could master any new job-related skill it would be the ability to deliver dynamic speeches and/or presentations. Michelle often presents to audiences in person or via conference bridges as well as participates on panels but feels there is room to improve. The ability to "answer on the fly" or to "speak off the cuff" are skills that she would like to enhance and ultimately master to deliver dynamic speeches. One of the most recent books that Michelle has read that has really stuck with her is Between Breaths by Elizabeth Vargas. Michelle had the honor of attending the CRN Women of the Channel East Conference in NYC this past year where Elizabeth spoke. The memoir is a heartfelt book about hiding her anxiety and addiction from her family and the public. It takes you from the highs of her career to the lows of her personal life and then ultimately through the grace of our recovery. It's a book of struggle, perseverance and accomplishment!